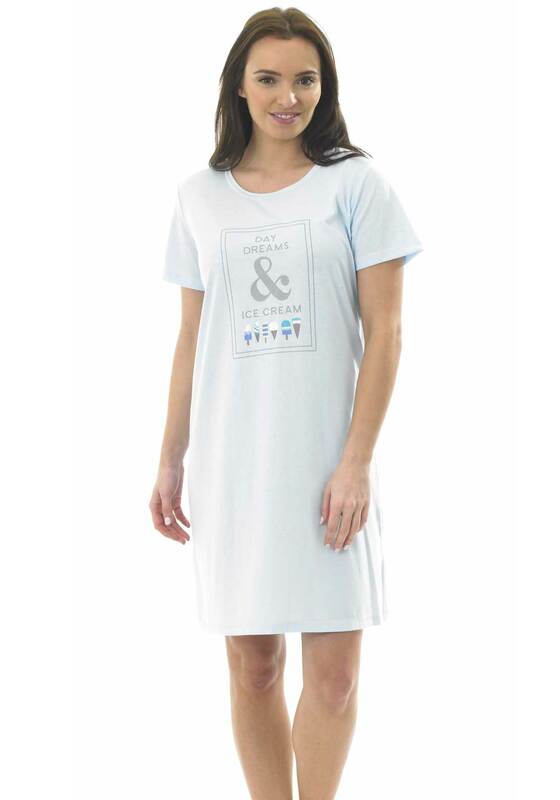 A comfortable choice for warm nights, this pale blue night dress from Indigo Sky would be a great update for your nightwear collection. Made from soft cotton blend fabric and designed with a mid-thigh length. Featuring a large ‘Day Dreams and Ice Cream' print on the front.